Vacation Bible Program is ready to go! Our very popular Vacation Bible School program is getting ready to welcome all the children in a very short time! Dates this year are June 23 ~ 27. For more details, check out the VBS tab across the top of this page. 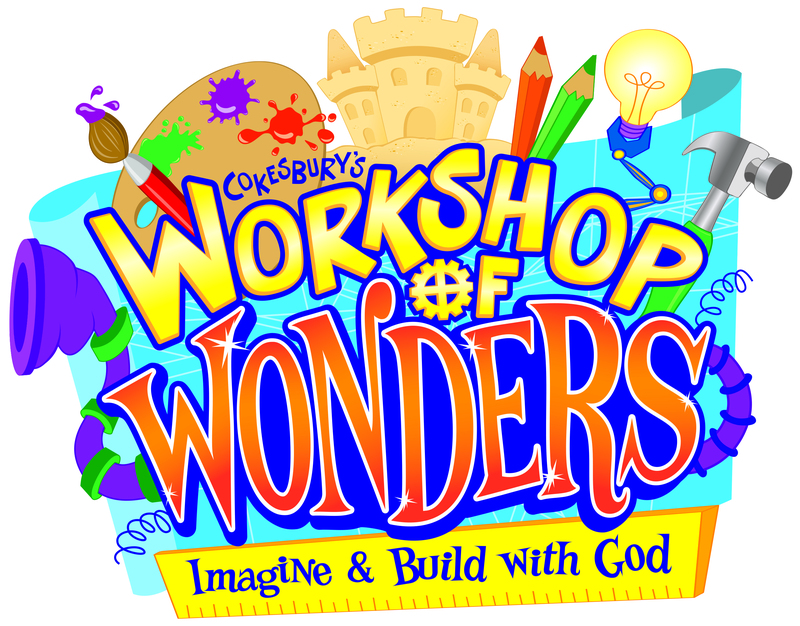 It promises to be a fun time for all the children and staff, so mark your calendars and plan to come hear all about the God of Wonders!! Did you have a favorite blankie when you were growing up? Surely you remember the comfort that it brought to you. Mother’s Day is this Sunday. Why not make a donation in honor of your mother to Church World Service Blanket Sunday. The gift of a blanket to someone who has none can make a world of difference. To learn more, or make an on-line donation, go to www.cwsglobal.org and search for Blanket Sunday. 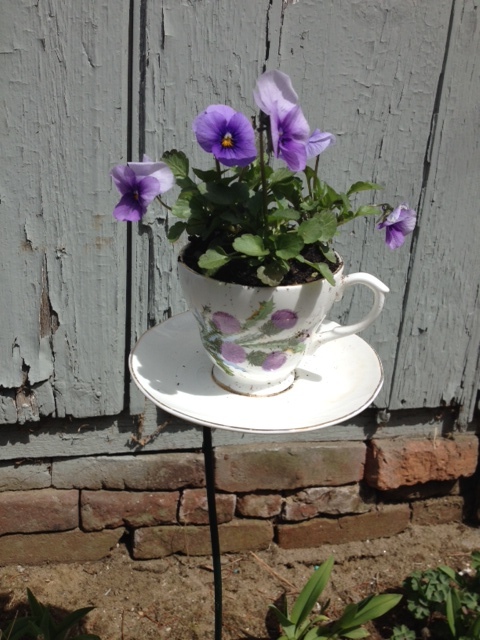 Come join us at the annual Mother’s Day Tea, hosted by the United Methodist Women, on Saturday, May 3rd from 2~4 PM. We’ll gather in Fellowship Hall to celebrate the special ladies in our lives, to honor those who have already gone home to be with the Lord, and to have a wonderful time of fellowship all together. We’ll enjoy tea and ‘goodies’, of course, as well as some games, a crafting project for the children, and an opportunity to have a family picture taken by our photographer. This annual event is always a lot of fun, so plan to come join us for the afternoon! Pastor Trudy is looking ahead…way ahead…to Mother’s Day and she is collecting things that a Mom would say. These phrases that you’ve heard or used will be consolidated into a presentation to celebrate moms on their special day. If you would like to contribute a mom-ism, please leave a comment on this post. The phrase will be passed along to Pastor Trudy. Comments will be screened for appropriate content prior to inclusion in our list. The men of the church will be hosting their annual Shrove Tuesday Pancake Supper on March 4th, 2014 at 6:00 PM in Fellowship Hall. Everyone is welcome to come and share in the feast. A good-will offering will be collected to help with our church missions. Please come join us in our celebration of Shrove Tuesday and indulge in pancakes for supper! “No single event in human history has received more attention than the suffering and crucifixion of Jesus of Nazareth. In this Lenten journey, Adam Hamilton guides us through the last twenty-four hours of Jesus’ life. Each chapter is designed to help the reader experience and understand the significance of Jesus’ suffering and death in a way you have never done before. Whether readers are long-time Christians or simply curious about the story of Christ’s crucifixion, they are invited to join the author in retracing the last 24 hours of Jesus’ life“. Books can be ordered from Pastor Trudy or by leaving a message for Pam in the church office at 860-379-2157. Everyone is welcome to come learn about this cornerstone of our faith from an enlightening perspective. We have an exciting evening of music coming up soon and we want to share the information with everyone! We will be hosting a Music and Memories Coffeehouse on Saturday, December 7th beginning at 7 PM in Fellowship Hall at Pleasant Valley United Methodist Church. Several bands are scheduled to perform, including our own Becky & Bill Bridges with C-Side Alley, and we’re hoping a few others will join the fun. Tickets can be purchased at the door; adults $10 and children under 12 will be free. Refreshments will be available for purchase as well. All monies raised will be donated to the Pleasant Valley United Methodist Church and to the Sean Burk Children’s Fund. These musical events are a wonderful time so plan to come share with evening with us! Vacation Bible School 2013 is going to a world’s fair!! Dates for Vacation Bible School 2013 have been set! The fun will take place the week of June 24th (M~F) and is open to all children. Check out more detailed information at the VBS tab across the top of this page.